The smell of gasoline adheres very easily to tissue, and it’s a very intense and penetrating aroma that does not go unnoticed. If you work as a mechanic, at a gas station or you’ve had bad luck with stains of oil and now gives off a very unpleasant smell, this article from Dinzie can assist you in getting rid of gasoline smell. Here’s a few tips to eliminate the smell of gasoline off clothes, it will not be such a complicated task. Note and check to see if it works for yourself. Before explaining some effective tricks to remove the smell of gasoline off clothes, it is important to remember that the affected garment should be washed alone and not with other pieces of clothing. Otherwise, the latter may also acquire that unpleasant smell to diesel oil. 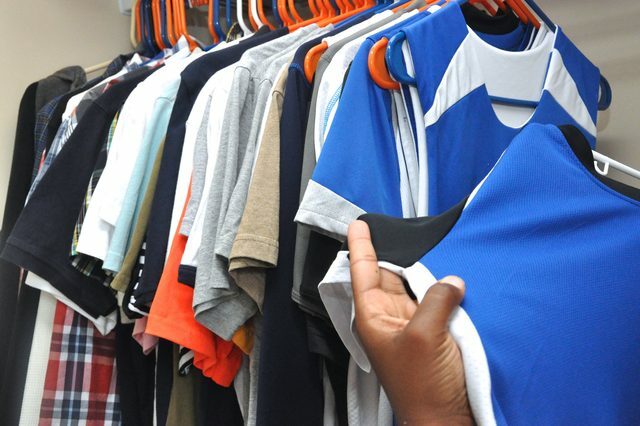 Therefore, it is not advisable to leave the smelly garment in the bucket of dirty clothing along with the rest of the clothes that you have accumulated to wash; keep it away but without too much delay in eliminating the evil odor since as days pass it may be more difficult to remove. There are some natural products that are equally or more effective than commercial softeners or detergents to remove strong and intense smells, like that of gasoline. And one that offers better results is baby oil, so do not hesitate to try it. You can simply add some baby oil to the washing machine and let the garment impregnate for a few minutes. Before the start of the next phase of washing, add detergent, and then wait until the wash cycle is complete. Finally, remove the garment from the washer and hang it to dry in the air, if possible, it is preferable that it is exposed to the sun. If the above method is not sufficient to eliminate the bad smell of the garment or if there is a spot of localized gasoline, then it is best that you opt for the following procedure. Making use also of baby oil, apply a good amount of this product on the area to be treated and leave the tissue to absorb it for a few minutes. Then soak the clothes in a mixture of water and detergent, and leave it overnight. The next morning, drain it and you can already make a normal washing machine, without mixing it with other pieces of clothing. In addition to the baby oil, you can use other products to remove the smell of gasoline of the clothes such as for example the white vinegar. This has powerful properties to neutralize odors on clothing, also still a perfect ally to remove the smell of sweat in shirts or t-shirts. You can add the same amount of white vinegar and water in a spray can and spray on the fabric, then hang the garment so that it dries with the air. When dry, wash it as you would normally do. Finally, here is another product star to absorb bad smells from clothing: baking soda. This can be used in different ways, but when it’s as strong as gasoline smell, it is best that you do it like this: Fill a container with water (so that the garment can be completely submerged) and add two or three tablespoons of baking soda. Remove and put the garment in question soaking overnight. The next day, you can wash machine or by hand, as you prefer.